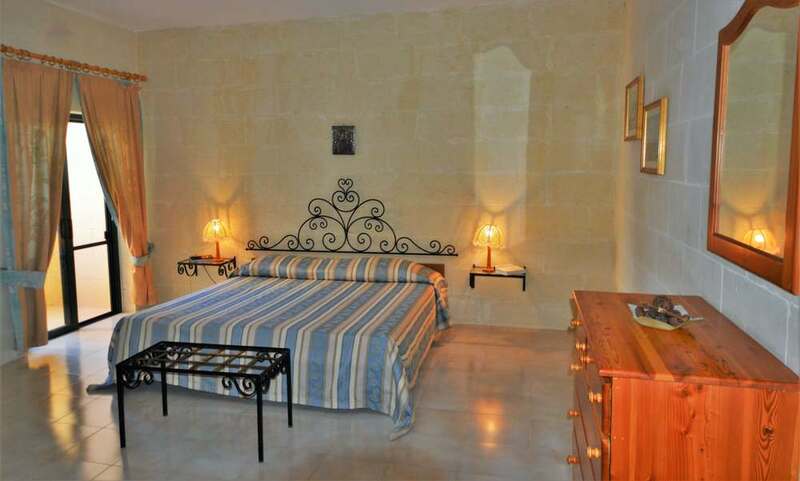 Situated on the first floor, it enjoys magnificent views of the Gozo’s countryside, including Ta Jordan’s lighthouse and Ta Pinu’s Shrine. 90 sqm, one bedroom, open-plan kitchen, living/dining, electric central heating in winter, two balconies. In the large living room an extra bed can be accommodated with privacy.